There is any number of situations that can complicate the settling of a decedent’s estate after their death. In a March 7, 2017 case before the Court of Appeals of Tennessee, the decedent was in the midst of divorce proceedings with her estranged husband at the time of her death. After the trial court concluded that the decedent’s assets were to pass to her estranged husband, the personal representative of her estate appealed the decision. The decedent in the case was in the process of divorcing her estranged husband at the time of her death. 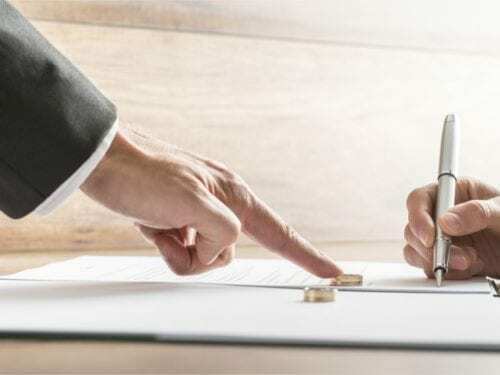 The decedent and her husband had executed a separation agreement as part of the divorce proceedings, in which they agreed to individually maintain ownership of specified marital assets and execute the documents necessary to effectuate the transfer of each asset. However, the decedent passed away before the respective transfers of property were made, and her personal representative filed an action seeking to enforce the terms of the settlement agreement. The husband argued that the agreement had been rescinded because the parties failed to perform under the agreement. The trial court determined that the agreement had been rescinded by the husband, and in ruling in this way, all jointly owned marital assets passed to him at the decedent’s death. On appeal, the court initially determined that the agreement was enforceable pursuant to ordinary rules of contract construction, despite the absence of a final divorce judgment. Since the agreement was executed in Georgia and contained a choice of law provision, the court looked at Georgia’s statutes governing contracts. Accordingly, to justify rescission, there must be a material nonperformance or breach by the opposing party. However, the right to rescind belongs only to a party who is free from substantial default himself. A party who has substantially broken the contract cannot rescind it on the ground that the other party subsequently refused or failed to perform. Ultimately, the appeals court held that the husband had no proper basis for rescission. The court found that the husband failed to perform his obligations under the agreement by refusing to sign a quitclaim deed for the property until he regained his personal possessions. Accordingly, his refusal to perform prevented him from rescinding the separation agreement. In addition, the court explained that although a party may rescind for a material breach, in this instance, a delay in the performance of the agreement at issue did not constitute a breach on the decedent’s part. Having determined that the husband had no valid basis allowing him to rescind the agreement and that any purported rescission was ineffective, the court reversed the trial court’s order awarding the ownership of the Tennessee residence and the decedent’s IRA funds to the husband. The Nashville family law attorneys at Martin Heller Potempa & Sheppard can provide comprehensive advice regarding divorce and probate administration issues. We represent individuals in a wide range of family and estate litigation, from crafting estate plans to contesting child custody and visitation rights. To schedule your consultation with an experienced member of our firm, call (615) 800-7096 or contact us online.